Phool in Hindi means flowers and if this spring was to go by, what an abundant spring! Flowers everywhere. They give joy, don't talk back, remain neutral and nice and unless broken, last for long. However, giving flowers at functions, especially dance functions, is painful to both the flowers and the recipient. They wilt in the heat as these are wrapped in plastic and brought to the hall often many hours before the event; they lie limp and by the time these are given to the performer or the dignitary, these are in coma if not dead! Like most things Indian, we just do, without thinking much. Why not for same money buy a book and gift? Or a music CD? Or dry fruits? 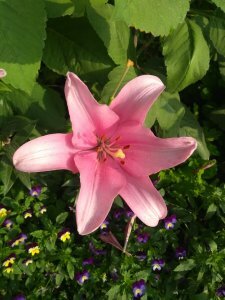 What is good and applies to flowers applies to those shining, cheap shawls too. Never to be worn again, what use are these shawls but token of respect shown? One can't even make curtains out of it as not long enough and besides, shining glare hits the eye. Doormats? But that is showing disrespect to the giver, even if given out of tokenism. So again, gift a book, a CD or dry fruits. Please remember this next time you as an organizer or dancer, or both as is often the case nowadays, do this. So March brought many interesting ideas and events to fore. I chose a few to show how dance matters in society or can. 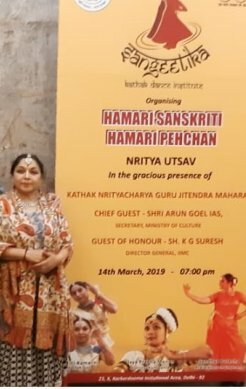 First, in Bangalore, where I am a week in a month, the most informative talk on subject of a devadasi took place, courtesy a group of dance academics and enthusiasts, teachers and dancers. Vidya Rao put to good use ace musicologist, Natyashastra expert, indologist, thinker and culture catalyst Dr. Bharat Gupt's visit to Bangalore and Mysore. She got together two more dance teachers - Dr. Karuna Vijayendra and Dr. Anupama Kylash - together as panelists with modern day Bharata Muni Dr. Gupt, and the most engaging conversation took place in a small dance studio in BSK Stage II, in South Bangalore called Kala Sindhu managed by dance buff Poornima Gururaja. Many young students trudged to this venue on a working midweek Tuesday morning. Dr. Bharat Gupt has the ability to give a macro picture on most subjects and does so succinctly. He speaks slowly and meaningfully. His words are akin to a lawyer's, well-chosen and crafted. There is nothing rushed about his discourse. He shared contexts and concerns but most importantly, he asked: That was then, what of now? Now the reality is, said second panelist Karuna, dancing was not allowed in temple precincts by the British law, yet the Anti Nautch law still continues! She looked part angry part in tears over her concerns. She refused the term devadasi calling it "a colonial construct" and instead wished to choose 'alaya narthakis' and very ably reconstructed the case of Karnataka and where dance stood, historically. The third speaker was Anupama Kylash, whose focus was on Andhra traditions and while she detailed terms and thoughts on the koluvu traditions and her own guru Swapnasundari's reconstructed Vilasini Natyam, her focus was too regional, micro level approach. Summer being on us shortly in Delhi, where I live one week too, while March spring was in full bloom, dancers were engaged in empathy with soldiers who had martyred their lives, like most recently in Pulwama. 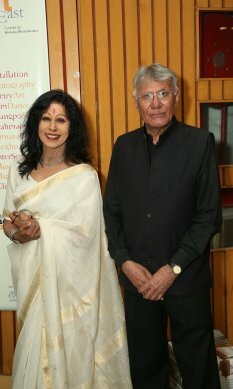 Shovana Narayan, that charming senior Kathak dancer, with maverick painter-promoter Naresh Kapuria, put together a most wide representative gathering where speaker after dancer paid tribute to the jawans. Musicians, dancers, thinkers, activists - the A to Z of Delhi dance world came together. First was youngest artiste, (95 year old) Shanno Khurana who sang what Rani Chhabra had recited intensely. Next, Bharati Shivaji paid tribute through Mohiniattam. Madhup Mudgal's Nirankar bhajan was lilting. 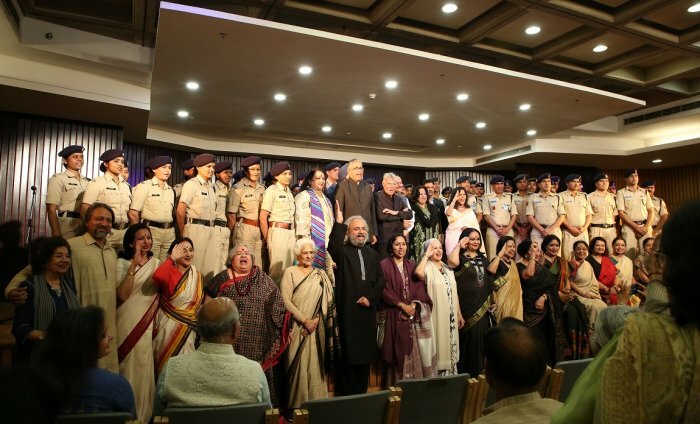 Aruna Vasudev in her husky voice next paid tributes to soldiers after which Geeta Chandran, the Bharatanatyam dancer, danced a tribute concluding with a salute to jawans of CRPF assembled there. Yours truly recalled his family's own association with the army with grandfather and aunts serving as doctors and then suggested young India to have NCC type conscription, so more discipline is inculcated. He ended with Jai Hind, that resonated with all assembled who loudly echoed that. Prathibha Prahlad next, commanded the stage. She has magnetism, for sure. Madhavi Mudgal's Odissi had high aesthetics. Sushama Seth, the fine actress, looked most distinguished and elegant and spoke briefly, reciting a couplet. Ranjana Gauhar sprang a surprise with a group of students, coming from the wings, with lit diyas and offering a fine tribute. Rama Pandey was all fire and brim, full of a smiling face hiding pain within. That describes a quintessential shayar, or poet. Her poetry, wherein while she praised the forces, had a twist in tale for in the second half, she castigated the civil society as being uncivil. Octogenarian Bharatanatyam dancer-teacher Saroja Vaidyanathan shared emotions of a mother before war and after. Senior Kathakar guru Geetanjali Lal took all back to her college days when in 1965 war with Pakistan, planes flew over her head in Kashmir. Vidya Shah sang Narsi Mehta's Vaishnav Janto while Lavlin Tandon read out two touching letters, one from a dying soldier who listed 5 points for his family to follow and one from a troop leader whose mother made the ultimate sacrifice of not even claiming her son's body from enemy soil. Sharon Lowen used Omkara karini to illustrate her tribute. Alka Raghuvanshi, arts writer-curator, was direct, to the point and an effective communicator. Compere Sadhna Shrivastav read out a poetry from Nalini-Kamalini while Raja-Radha Reddy's thoughts were read out by Rashmi Vaithialingam who added hers too. 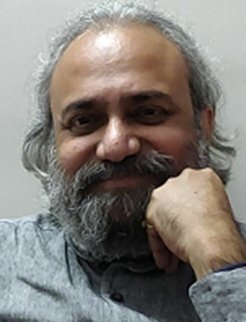 Sunit Tandon, the theatre talent, concluded the list of tributes to be given. Diva Sonal Mansingh, despite another show at India Gate for Odisha Parb, rushed to join in. Shovana, with her smiling, genial personality has always got on with a variety of people, both in arts and in govt. The evening brought many sections of the society together and touched a chord in all. It was a sombre, dignified and an emotional evening. 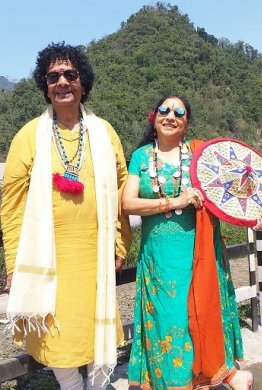 Holi spirit loomed large in Delhi and Secretary Culture, the handsome Arun Goel, no less, decided to be part of it when ace senior Kathak dancers Nalini-Kamalini, earlier also known popularly as Delhi Sisters, regaled all at Habitat's Stein with a floral Holi. They dance bindaas, in true spirit of temple Kathak, not stylised and artificial court etiquette and nakhras. There is joy in their dance. For the last forty years I've seen their journey, under unique guru Jitendra Maharaj of Benaras gharana. He is a pillar of the form and continues the legacy of giants. Jayaprabha Menon also showcased excellent Mohiniattam. Here is an artiste who has depth and range. Outside Delhi, in Noida of U.P., the return of Bagais to India from UN postings in Paris and Bangkok, was occasion to dance and sing to folk music provided by Samandar Khan Manganiyar. 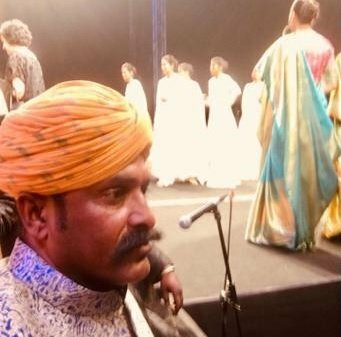 Having seen him at Aman Nath's Neemrana group's Tijara setting 2 years ago, one can only say this artiste is rare, a power house of folk culture, from the soul, sand and soil of Rajasthan. He says being a folk artiste, he doesn't even know whom to ask to nominate him for awards! Our folk artistes remain simple (and often, sensible). Dance matters and matters of dance being of concern here, what are 2 or 3 take home points? One, a class action or group petition is needed to reverse the ban on dancing in temples. Our classical and even folk dances and music belong to the temple. That was its cultural context. Divinity. Two, award process needs sanity to prevail. When will good, honest people who can't push their case or will get those? Lastly, back to Spring. Please stop torturing flowers and putting them in plastic paper to be given in wilted condition on stage. The columnist is author of many books on arts and culture; senior critic, columnist for mainstream media, who served many govt. bodies. Having donated Mohan Khokar Dance Collection to IGNCA, Delhi, he is now helping gallerise and digitise it as permanent archive/museum. He edits yearbook attenDance, now in its 20th year. Taking this nation forward culturally as well as a most practical 21st centurian. Completely agree with you, Ashishji, on the flowers wrapped up in plastic and the shiny shawls. We totally stopped using it many years ago and started giving saplings and dry fruits instead. 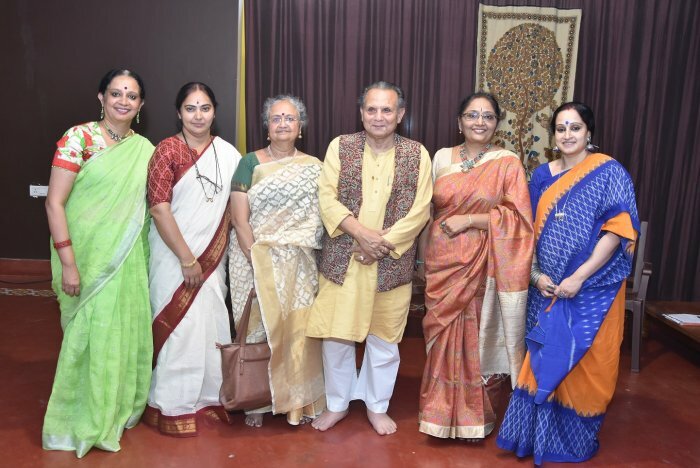 Privileged to be the student of Guru Poornima Gururaja and through her collaborations, have had the opportunity to interact with scholars like Anupama Kylash ma'am, Vidya Rao ma'am and Karuna Vijayendra ma'am.